Lincolnton - Mrs. Sherry Ann Shronce Moore, 72, of 951 Bailey Springs Drive, passed away on Monday, January 28, 2019 at the Brian Center in Lincolnton. 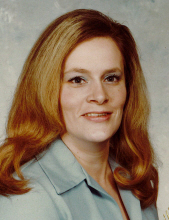 Sherry was born in Caldwell County, NC on January 9, 1947 a daughter of the late Shelton Stewart "Cotton" Shronce and Mary Sue Triplet Shronce. She worked for Winn-Dixie and BiLo in Lincolnton as a cake decorator. In addition to her parents she was preceded in death by two brothers, Dale and Keith Shronce. Survivors include a daughter, Constance "Koni" Moore Dotson and husband Jeff of Cherryville; a son Michael C. Moore of Lincolnton; three grandchildren, Laura Dotson of San Francisco, Dillon Moore of Hickory and Stephanie Corry of Cherryville and one great grandson, Colin Corry; four brothers, Johnny Shronce of Cherryville; Jake Shronce of Hickory; Lynn Shronce of Granite Falls and Chris Shronce of Vale. Visitation will be on Friday, February 1, 2019 from 6:00 to 7:30PM at Stamey-Cherryville Funeral Home. Memorials may be made to the American Diabetes Association, 1300 Baxter St. #150, Charlotte, NC 28204. Stamey-Cherryville Funeral Home & Cremation Service is serving the family of Mrs. Moore. To plant a tree in memory of Sherry Shronce Moore, please visit our Tribute Store. "Email Address" would like to share the life celebration of Sherry Shronce Moore. Click on the "link" to go to share a favorite memory or leave a condolence message for the family.